although the nation had a couple of reservation systems, it was not widely used as it lacked the young iPhone app look . Uber was out-lawed in South Korea because it came directly in competition with existing cab drivers and taxi companies – which have considerable union, as to significantly deter traffic (mostly by crawling wide streets in groups, blocking any cars that try to by-pass them). even the news of its outing was out : Korea’s foremost app venture now joined with the leading portal Daum, formed Kakao Taxi which is doing quite well with ease . ofcourse then cam Kakao Real Estate, Kakao Style, and so on and on ..
Kakao had laid out plans last January to form a smart-phone app that can do similar things with hair salons throughout the Peninsula . quite a number of hair, facial and aesthetic salons were already on half a dozen coupon apps, offering considerable discounts to those who reserve at least the day before . after a test run this Spring, Kakao announced they would begin Kakao Hair Shop today Tuesday July 12, 2016 . aficionados waited but it didn’t appear at Android marketplace, only to emerge later in the day after sun-down . list the stylists or designers (much like the word fusion which has come to depict all sorts of weird cuisine on restaurants, some call themselves specialists) of each salon, with an avatar photo of actual participants – where most probably NOT all employees of each salons are shown here, as of now : some list ONLY their owner and some a maximum of nine-or-so . 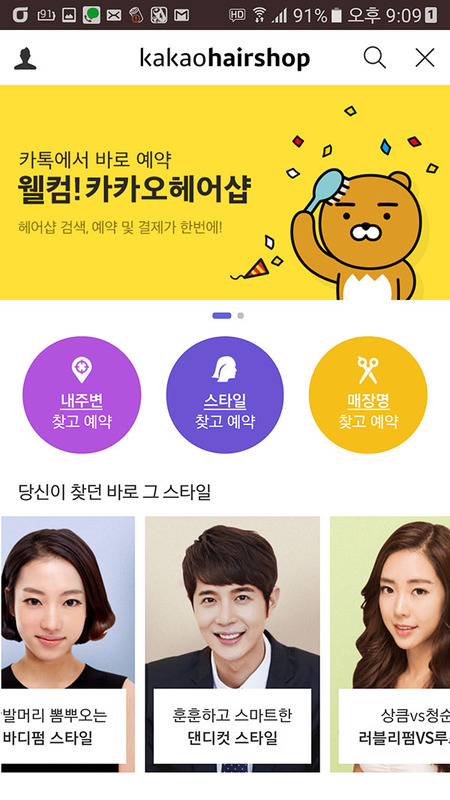 but this is their first day, and Kakao has announced plans to increase . two aspect to note here, as hierarchy in a Korean hair salon can be similar to the marines and some so-called chiefs are so self-conscious their snobbery shows onto the (usually first-time) customer . and on the very bottom of the last Menu : a mini-map clicking on it will link to Kakao’s own Daum Map for a larger and full-fledged map . The now-developed South Korea enjoys quite a high standard of living, even though recession from iMF bail-out still lingers-on, more-so on older industries aside from the newer high-tech . and there are simply too many hair salons and body care, plus even plastic surgeons to make a choice . I should add this coincides with the increase in number of veterinary hospitals and pet grooming salons in metropolitan areas . 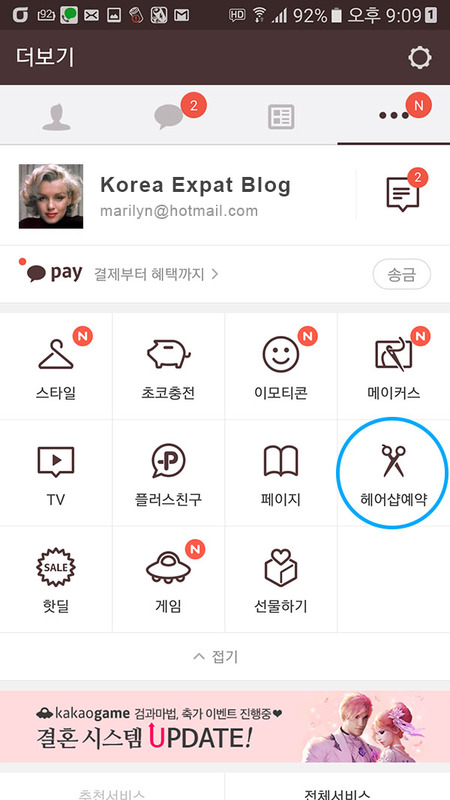 But this is just the beginning of hair salon information provider wars over the Korean Peninsula, as the second-established but now over-whelming portal Naver is opening their own hair shop app within a Month . for starters the commission the hair salons have to pay is different, as Naver is offering their service for FREE while Kakao charges a set-up fee of W50,000 then W60,000 per Month maintenance .